Sam Smith has revealed the video for his forthcoming single ‘I'm Not The Only One’ which features guest starsDianna Agron (Glee) and Chris Messina (The Mindy Project) acting out Sam's heart wrenching pop-ballad. This autumn sees the release of Sam Smith's new single release ‘I’m Not The Only One’ taken from his multi-platinum selling album ‘In The Lonely Hour’ which debuted at No.1 in the UK charts and No.2 on the US Billboard Top 200 earlier this year. The album has sold over 1.3 million copies globally, breaking records in America as the highest first week sales for a UK male artist in the SoundScan era. Since winning the BRITS Critic’s Choice award and topping the BBC Sound Poll, Sam has gone on to prove he is the biggest breakout UK male artist in recent years. His home-grown success has catapulted him across the Atlantic and having featured on Jimmy Fallon with Disclosure followed by stunning solo performances onSaturday Night Live, David Letterman, Sam has become the name on everyone’s lips around the world. 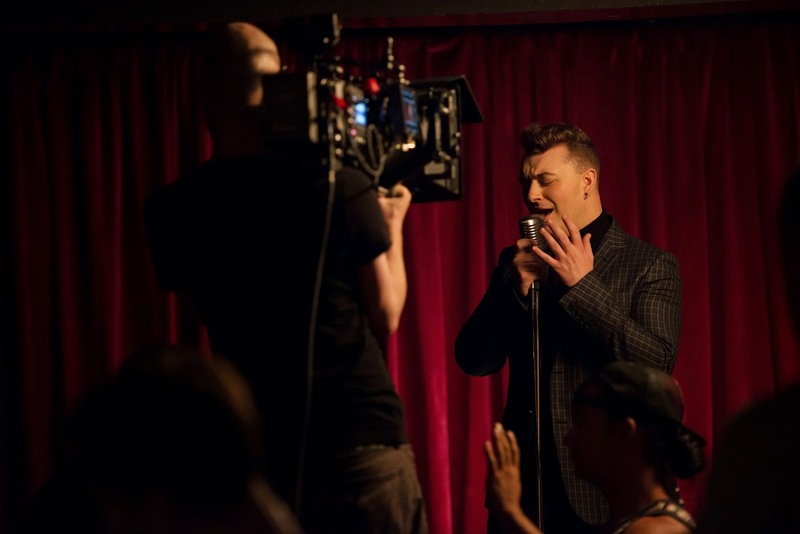 ‘I’m Not The Only One’ is one of the defining tracks from ‘In The Lonely Hour’, a tale of unrequited love and longing which follows previous No.1 hits for Sam with ‘Money On My Mind’ and ‘Stay With Me’ – selling over 2.2million copies worldwide to date. With endorsements from the likes of Nile Rogers, Maxwell and Mary J Blige – who recorded a very special version of ‘Stay With Me’ with Sam, leading to a memorable performance together at New York’s legendary Apollo Theatre - Sam has been wholeheartedly embraced by some of the US’s finest artists. Live Sam has reached new heights and completely sold out tours in North America – which will see him play the legendary Greek Theatre in LA and in the UK with two London dates at Hammersmith Apollo. ‘I’m Not The Only One’ features remixes from Armand Van Helden and Grant Nelson. For the video Sam enlisted the help again of acclaimed director Luke Monaghan who worked with Sam on his recent video forLeave Your Lover – bringing to life the heart-breaking story of ‘I’m Not The Only One’.